After the arrival of Telegram X, we weren’t sure what Telegram‘s next step would be for its two apps. However, it seems like things are staying more or less the same, considering we’re still seeing the typical, steady updates of the original Telegram. The version 4.8 stands out with the arrival of video streaming and automatic night mode, along with the possibility to use your Telegram account to log in to other websites and online services. 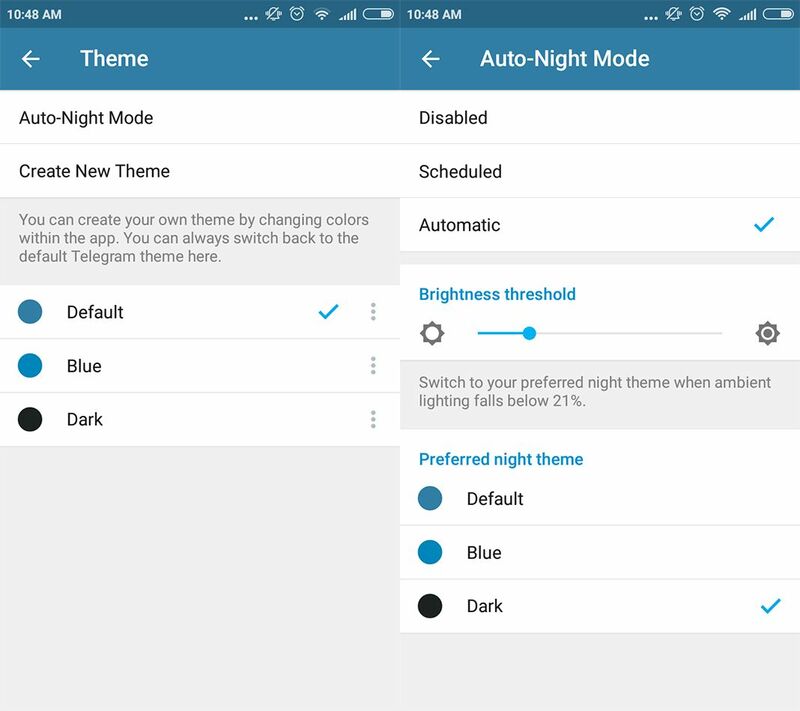 When we told you about Telegram X and its experimental features, we mentioned that it had a night mode that could be activated to work automatically. Now, the main Telegram app also includes this useful feature, much to our delight. It’s a feature that you can activate from the Themes screen in Telegram and can be configured however you like: choose the color that will appear and the light conditions necessary for it to automatically be activated. Plus, you can also select custom themes for this new feature in case you want to give it an extra special touch. 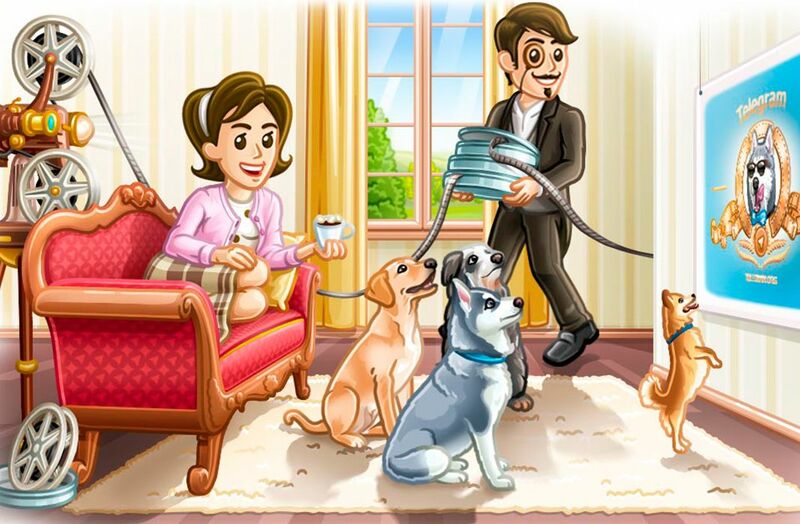 The good people at Telegram seem to make it their life goal to make sure the user finds it as easy as possible to do any sort of activity using the app. The possibility to stream video follows this line of thought. This new feature may not offer as much substance as others we’ve seen in the past, but that doesn’t mean it’s not useful. 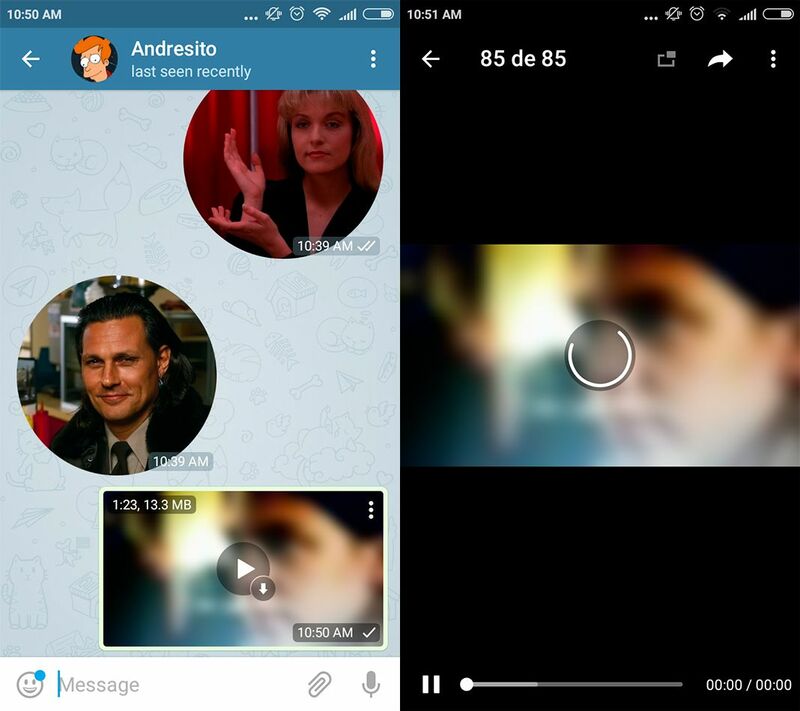 Now, we have the possibility to play videos without having to download them first. This may not be the most practical new feature for short videos, but it could definitely be necessary for large files. All you have to do is tap the play button you see in the center of the videos to start streaming. The last new feature presented in this version 4.8 is the possibility to use your Telegram account to log in to other websites. It’s an extremely interesting feature that will give Telegram a lot more visibility in a lot of different tasks. Plus, it’s possible to see all the different websites you’re connected to through this feature from the Privacy and Security settings. This means the Telegram bots can now contact us with relevant information about their websites if we’ve signed in with this feature. This opens up a world of potential for Telegram and will probably take it to a whole other level.